Wendy Osmond Design is a sole trader design consultancy formed in 2001, creating storytelling spaces for Australia’s leading cultural institutions including the National Museum of Australia; the Australian Museum; Sydney Living Museums; the Australian National Maritime Museum; the Macleay Museum; West Australian Maritime Museum and the Sydney Opera House. 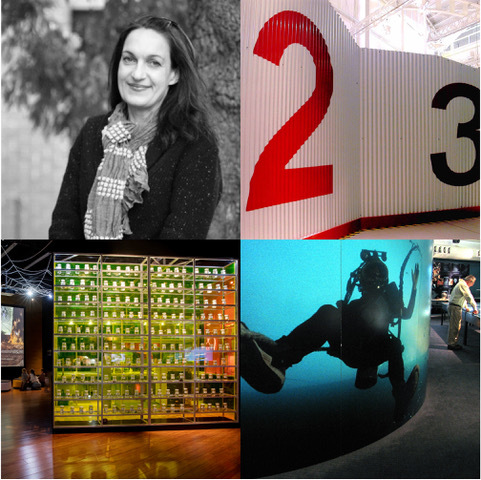 As the Principal 3d designer and project manager, Wendy tailors a multidisciplinary team of interpretation design specialists to each unique project, and oversees it from concept through installation. The team applies extensive knowledge of all aspects of museum practice including spatial, graphic, interactive and multimedia design for core, temporary and travelling exhibitions, family spaces, multimedia installations, events spaces and exterior interpretive structures. Wendy has designed and managed interpretation projects in Australia and Asia for over twenty six years, building a wealth of experience collaborating with artists, community groups, cultural knowledge holders, government and private organisations. She is skilled in the smooth establishment and development of a professional interchange and her holistic, interdisciplinary approach to storytelling though experience design is informed by her earlier work as production designer in theatre, film, opera and events. The key to design of a great visitor experience is clear communication, lively collaborations and a rigorous design process built on a strong concept. The goal is visitor-focused, intelligent and sensitive creative solutions that uniquely support the cultural context and interpretive aims of the project.